BMW sales leader again. The Bavarians have recovered in October the top position amongst premium carmakers, with 164,915 units, followed by Mercedes-Benz and Audi. After September, when Mercedes-Benz sold more cars than BMW, BMW has recovered the leading position in October, with 164,915 cars sold, followed by Mercedes-Benz with 155,189 units and Audi with 149,200 units. This way, BMW succeeded to maintain its leading position for the first ten months of 2015, with 1,560,697 cars, followed by Mercedes-Benz with 1,531,541 units and Audi with 1,497,150 units. Due to the fact that BMW merges the regional sales figures for the Mini and the BMW brand, we cannot compare the sales results vs Mercedes-Benz and Audi by regions. But still, Mercedes-Benz growth rate is the highest compared with Audi’s and BMW’s both in October and in the first ten months of 2015 with 10.10% respectively 14.60%. As in the case of Mercedes-Benz, the BMW X vehicles registered the biggest growth. 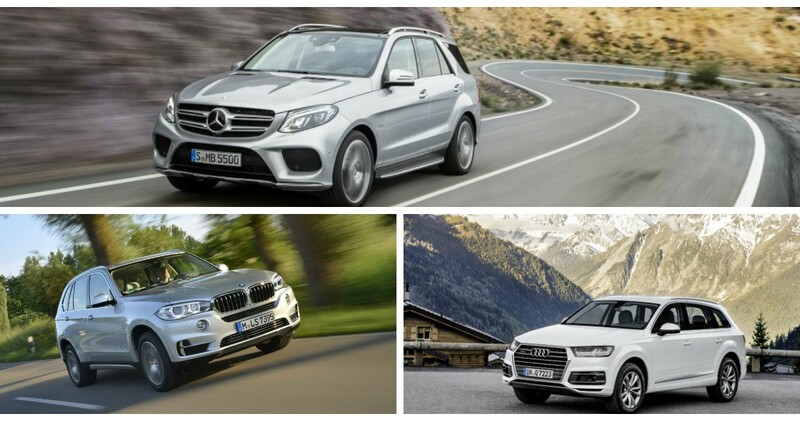 October sales of the BMW X3 increased by 7.3% to 11,915 units, while the X4 sales grew to 5.5% to 4,428 units. 13,541 X5 were delivered to customers in October (+9.1%), while sales of the BMW X6 almost tripled to a total of 4,335 in the month. 2,553 BMW i vehicles were delivered to customers in October, 6.2% more than in the same month last year. The BMW i sales for the first ten months have gone up by 78.6% year-on-year, to 23,133 units. With 11,575 units delivered in October, the sales of the BMW 4 Series range are up 6.3% compared with the same month from 2014. The BMW 2 Series range continues to grow its sales with 15,615 units delivered in October. The best seller of the range is 2 Series Active Tourer, which more than quadrupled its monthly sales to a total of 7,915 customers deliveries. In the case of Audi, the new star of the SUV range is the new Q7, which registered 7,600 units sold in October (+55.3%). The Q7 will also be introduced in the large non-European markets in the upcoming months. Sales for the Audi A6 have also increased notably to 24,500 cars (+5.2%). Safest car of 2017? Mercedes-Benz E-Class made it to the shortlist!